Teri Ringham Health and Wellness | Simple changes--powerful results for Robin. Can they help you too? Simple changes–powerful results for Robin. Can they help you too? This post may contain affiliate links of products I recommend at no additional cost to you. Read about my affiliate policy here. Can Alternative health replace sickness and a reliance on medications? Many who have adopted the practice of healthier eating and avoiding chemicals answer this question with a resounding YES. Some of the strongest testimonies come from those who have endured years of health issues under the umbrella of standard medical care. These same people, who felt their condition was too severe to be treated with anything other than medication and surgeries, have been blessed to overcome their health issues by making changes that seemed too simple to be effective. Changes like diet and reducing exposure to chemicals in their environment. I recently received a wonderful testimony from Robin, a delightful young lady who had been struggling with Colitis for many years with poor results from her medication and other medical treatments. She wanted to discuss possible alternatives to medications that might help her feel better. We discussed the changes that might benefit her condition and also her husbands health. Do you love your daily soda? So did Robin…. Both Robin and her husband had given up soda seven months earlier. He was an avid regular soda drinker and she was a diet soda drinker with both consuming these daily, and often, multiple per day. Soda is a tough one to give up for those who have consumed it as part of their daily routine for years but both Robin and her husband had done it! They had certainly seen improvement in their health but not enough for her colitis to settle down enough that she could eat without worrying about a run to the bathroom. She also was dependent on a medication that wasn’t resolving her issues. We visited for about an hour and Robin committed to making the changes that seemed to simple to be effective. She knew what she had been doing wasn’t working so she committed to the changes we discussed. 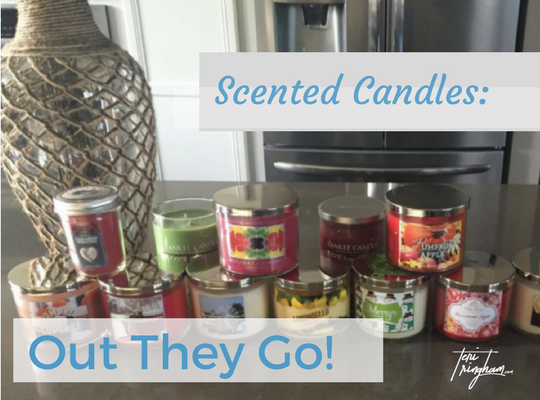 Do you love “smell good” products? Once again, so did Robin…. Robin not only removed chemicals but she took the initiative to make a commitment to changing her daily habits and diet. She followed the advice of using a high quality probiotic plus leaky gut repair supplement and digestive enzymes as well as soothing her digestive system daily with essential oils of Fennel Vitality and DiGize (think Di-gestion) Vitality oil blend. Did the changes Robin made in her diet and environment make a difference in health? “What a difference one year has made in enjoying vacation! Wrong Food and Drink….my body tolerated them because I used digestive enzymes to help break them down and eliminate the bad foods from my body. Bugs and too much sun.. no problem… Lavender oil and Lemongrass oil-chemicals avoided! Races to the bathroom hoping to make it in time? Not an issue, since we didn’t miss a day of probiotics and avoided “trigger foods”. ” What a much better way to do Mexico! Keeping a routine of eating decent while occasionally indulging AND using essential oils for avoiding chemicals made this year a joy compared to last year. On a side note I had my colonoscopy last month, no colitis flare ups and I have been off my bad medicine for over a year…..cross my fingers things stay good”. I believe things will “stay good” for Robin because she understands the importance of working with her body. 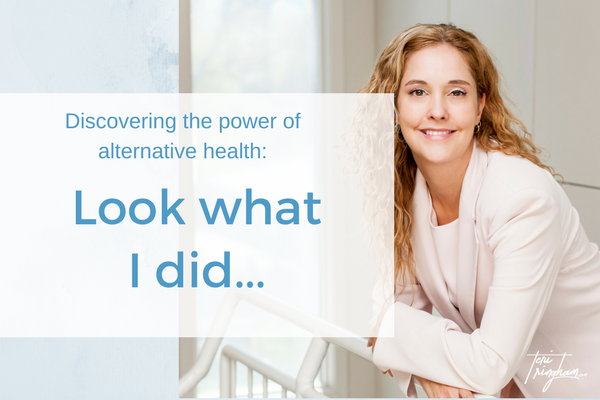 She followed the diet changes we had discussed and that she had been incorporating in their daily lives–the same changes outlined in my book. The foods she had been eating in her daily life to avoid gut inflammation are the same foods she ate while on vacation–with an occasional indulgence of the “trigger” foods. For the most part, they ate food they enjoyed and avoided food that might irritate her digestive system. Robin’s testimony also mentions both digestive enzymes and probiotics. These are two of the few supplements I feel every single person should have as a foundation of their health plan.As Robin incorporated better diet she also avoided chemicals by using essential oils for their body lotion, body wash, shampoo and more. Many people fail to realize the amount of chemicals in our environment and feel something like a product with fragrance has little impact in their health issues. Sadly, the belief fragrance and other chemicals are far from “minor” in the damage they do. Chemicals have a huge impact. Slow poisoning of the body with chemicals absorbed through the skin, scalp and nasal membranes over time has a big impact on hormones, gut health and brain health. Thus, using essential oils for supporting skin health or giving a beautiful scent instead of harmful synthetic fragrances enable us to ease the burden chemicals place on our body. She read and asked questions so she understood “why” she needed to make the changes she made. She followed my recommended approach of taking the burden off her digestive system while also soothing her overly stressed gut lining through digestive enzymes with every meal and probiotics. She eliminated the disruption of chemicals to her body systems. And… she went “all in”. Unless we truly believe we will succeed in resolving, or at least greatly improving our health issues, it’s too easy to give up. It’s perfectly normal to take an occasional step back (or even two steps back), but to achieve good results, we need to stay the course. Alternative health involves treating our body gently rather than forcing it with medications. We can have amazing results–as Robin (and many others) has testified. Robin is a superb example of how it doesn’t have to be miserable to make changes that resolve health issues. Rather, after incorporating change, the results can be so refreshing that it’s uplifting and encouraging. The root cause to our health concerns will very likely take more than a few days to resolve. We didn’t get in poor health overnight and we can’t resolve it overnight. BUT…with commitment and changes, we might just see some of the severity and frequency ease for encouraging us to continue on the path. What about you-are you ready for change? What about you? Have you committed or are you ready to commit to making changes that bring powerful results? If so, hang with me on my blog, Facebook page and Pinterest. I offer tried and true principles of alternative health that, in many peoples lives have given amazing results. More importantly-these principles and commitment have given health empowerment in my life, my family, Robin’s and many others. We are no longer reliant or powerless in our health. The same place you can be by committing to a better diet, removing chemicals and making sure you “get things moving” with at least a fast walk as often as possible. Knowing you are taking control…feeling the results of working with your body for better health…enables us to see changes fairly quickly. This encourages us to continue down the path of treating our body with the respect it deserves and…it makes the results we see make it well worth the effort!